Select picture for a better image. I just got back from a quick shopping trip to the Drive. I went out dressed in a short-sleeved shirt and shorts. It was raining quite hard. What a joy to feel the rain on my head, my arms, my legs. The air smelled cleaner, fresher. It seems like a Biblical age since anything felt that good. Am I Running For Something? 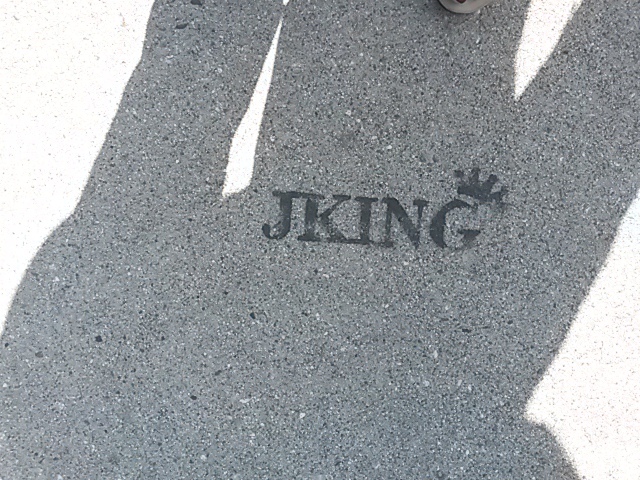 Earlier this summer someone sent me a picture of this stamp that appeared on a sidewalk somewhere in the City. Today, I received this one that is apparently just one of several on Mount Pleasant street corners. Any clues about where they come from? Last night was very warm and exhaustingly muggy, and yet crowds of local Grandview folks showed up at the latest Our Community, Our Plan meeting. The main purpose of last night’s gathering was to start organizing community activists in each of the seven sub-areas into which Planning has broken down our neighbourhood. As I have written before, it seems perfectly possible that while the much-vaunted Citizens’ Assembly will be encouraged to compose a “hearts and flowers” statement about the future of Grandview-Woodland, the potentially destructive planning workshops for each of the sub-areas will be taking place in another venue. It is vital, therefore, that residents pull themselves together into area groups and prepare their own ideas for what needs to be retained, what, if any, additional density and form would be acceptable, what further amenities are required. That’s what we did last night; and I am honoured to be part of such an intelligent, articulate, and committed group. Bring it on, Planners! 1) Vision Vancouver is vulnerable. Their six-year reign of big business crony politics — which has turned our city into one of the most unaffordable cities in the entire world, led to the wholesale destruction of neighbourhoods and disenfranchisement of residents, and has failed to genuinely grapple with either homelessness, transportation, or public amenities — is coming home to roost. More and more Vancouverites are catching on to the fact that Vision’s heated environmental and LGBTQ rhetoric (with or without substantive action), street theatre and parades, and failed experiments with faux engagement projects are simply style over substance. Their softness in the polls is witness to this. They will be spending umpteen millions of dollars trying to persuade you otherwise: when you see their ads ask yourself, who actually paid for that? 2) The Vancouver Green Party and their three candidates are perfectly positioned to be everyone’s second (or first) choice. They are not wasting resources chasing the mayoralty or trying to elect large numbers of Councilors. They are concentrating on the job at hand, making sure they are as well known as they can be, and, quite rightly, trading off Adriane Carr’s excellent term as, essentially, an independent Councilor. 3) The NPA have genuine branding and image problems, stemming both from their recent background as being fully funded by developer/real estate/corporate individuals, and the disastrous policies of Eco-Density introduced by their last elected Mayor, Sam Sullivan. It is those very policies that Vision ran against in 2008, took over in 2009 under a different name, and have been implementing so disastrously for the last six years. However, many activists interested in planning and neighbourhood issues have to recognize that the NPA-initiated City Plan was the best thing that ever happened to Vancouver planning, and it needs to be revived, brushed off for modernity’s sake, and put back in place as marching orders for Brian Jackson and his Planning Department. If Kirk LaPointe could persuade the party to do something like that, then they have to be worth a look at for a seat or two. 4) In most years it would be accepted as common wisdom that a majority party like Vision would thrive in an environment where there are six or seven other parties vieing for power, splitting the vote. But I am becoming less sure of that in 2014. True, in addition to those mentioned already, we have TEAM, COPE, OneCity, Cedar, and Vancouver First in the field. But if a voter agrees with me about the disaster that is Vision, then tis variety allows them to vote for an a la carte selection; say three Greens, a couple from NPA, and perhaps a COPE candidate. Those six (or any similar configuration, I wasn’t being prescriptive) are enough to rid of us Vision. The key this year — don’t vote the slate. Even if you feel obliged (for whatever reason) to vote for Robertson (or LaPointe) as Mayor, you need to control any urge to simply tick off all the Vision (or NPA) names on the ballot. Vote for the best people. Over the next few months, along with a thousand others, I will try to persuade you who those “best people” are. But it is vital that you make up your own mind and not be bullied by parties or pundits telling you you must vote all this or all that. A last thought: There is still time, I think, for a powerful independent mayoral candidate to step forward. She or he could gather together all the minor parties under their wing and create a kind of independent slate for electoral purposes. That might not be so bad. It would be a tough row to hoe against all the embedded money committed to Vision et al., but I think it could catch fire as an idea if handled properly. And it would certainly be a major step toward party-less elections in the future. 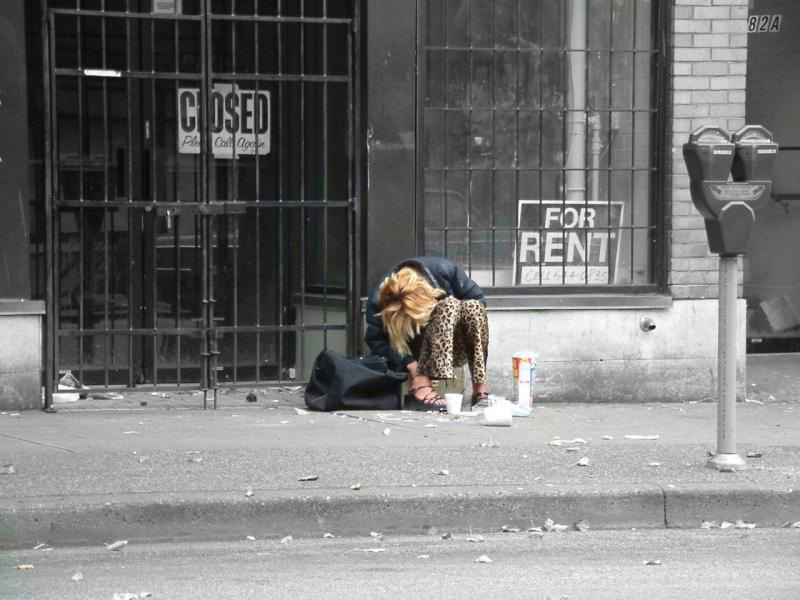 You are currently browsing the Jak's View of Vancouver v.3 blog archives for August, 2014.